Christleton House01492 877676work Guest HouseA very warm welcome to “Christleton House” situated in the heart of this lively seaside town. You are a few minutes’ walk from the Pier, Beach, Promenade and Town Centre. Christleton House has five individually styled en-suite Bedrooms including a luxury Suite with views of the Great Orme and Snowdonia. All rooms have Mini Fridges Flat screen TV’s with Free view, DVD players. 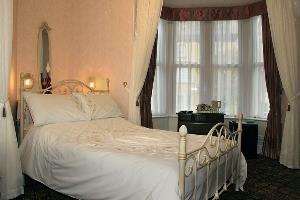 Hairdryers, Tea and Coffee making facilities with fresh milk and biscuits, Individually controlled Central Heating. Fans are available. Complimentary Daily and Local Newspapers are available in the Guest Lounge to catch up with the news.On business or for leisure; we have wireless internet connection to most rooms in addition to our house computer in the lounge. Computer Games are available with a selection of games for all ages.